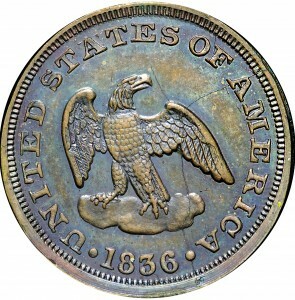 A second example of the Eagle on Cloud pattern, this piece is in copper and struck on a thin planchet. The original legislation for these patterns required a weight of 60 grains, with the billon composition. Most copper patterns weigh between 57 and 59 grains. This example is substantially below standard with a weight of 38.9 grains and may be the only example surviving at this weight. It is from a very late die state with extensive obverse die cracks. The obverse die was blundered with A in STATES over an errant E and the 3 in the date over an errant 6. J.M. Wade; Stack's ANA Sale, August 1971, Lot 318. 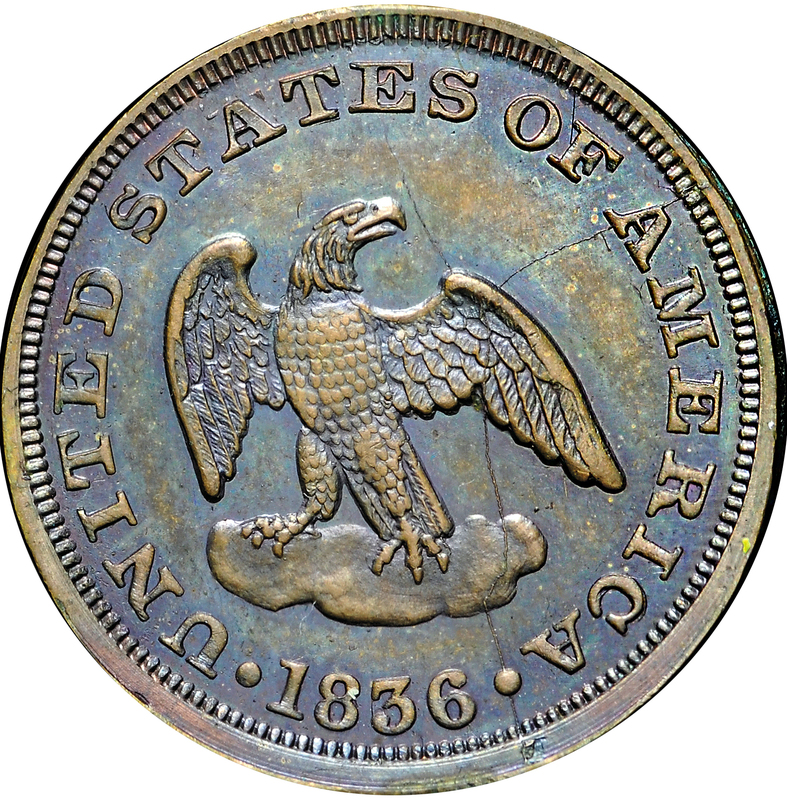 An eagle with wings spread, perched on a cloud, UNITED STATES OF AMERICA around, the date below. 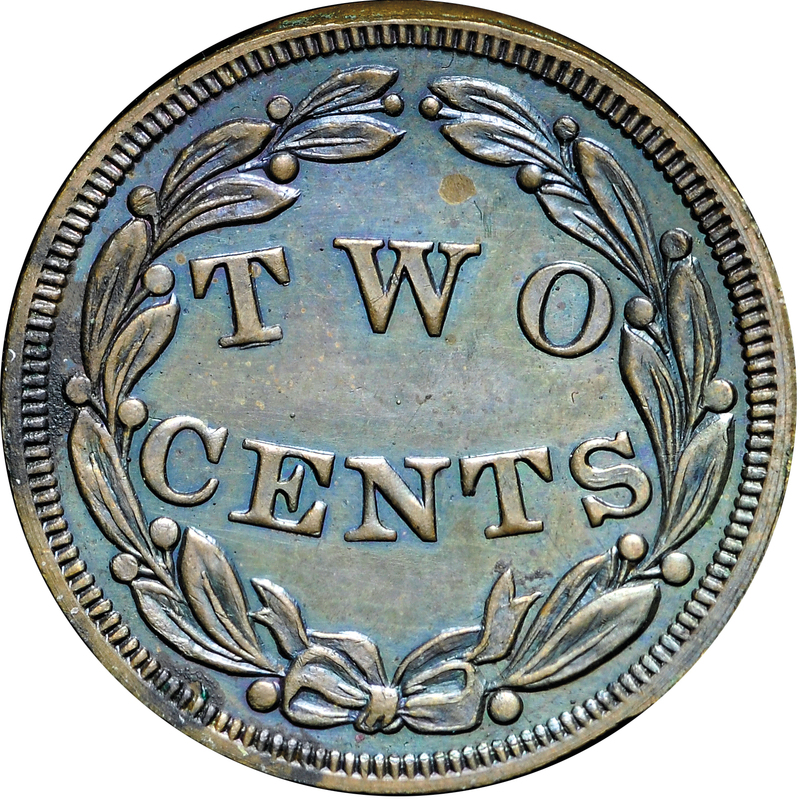 The denomination, TWO CENTS, within an open-topped wreath of laurel.